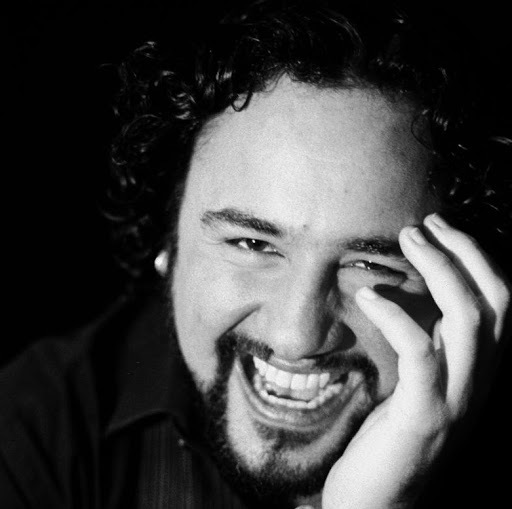 Since he was finalist in Carlo Morelli National Vocal Competition in 2007, tenor Rodrigo Garciarroyo has been continuously performing throughout Mexico’s most important theatres. He has performed opera leading roles and sung several concerts at diverse venues and theatres in North America and Latin America. A robust, impassioned voice and captivating stage presence, as well as an innate, elegant musicality and exquisite acting skills have gained for him the audience’s love and applause everywhere he’s performed, and motivated critics to describe him as “charming. An experienced, secure and refined professional, combining a rich timbre and a smooth legato with secure and heroic high notes; simply first class singing” (J. Bills, ProOpera magazine), and “There has been a glut of stellar tenors coming out of Mexico lately, and Rodrigo Garciarroyo is the newest kid in the Pantheon.” (Larry Kellum, The Town Times, Connecticut). He has been awarded the Olga Forrai Foundation and the Martina Arroyo Foundation scholarships to study in NYC; the International Vocal Arts Institute (IVAI) scholarship to study in Puerto Rico and Israel, and the Placido Domingo voice scholarship given by Sociedad Internacional de Valores de Arte Mexicano (SIVAM), Mexico’s most renowned young artist programme. In 2009 Mr. Garciarroyo made his debut at the Alice Tully Hall at Lincoln Center, New York singing the tenor solo part in Verdi’s Requiem, and in 2011 he sang Turiddu CAVALLERIA RUSTICANA, under conductor Niksa Bareza for his Palacio de Bellas Artes leading role debut, in Mexico City. In 2012 he founded the opera company Ópera Insolente and in 2013, he was named one of the top leaders of opera in Mexico by Lideres Mexicanos magazine. His repertoire includes the tenor leading roles in CARMEN, LA TRAVIATA, LA BOHEME, IL TROVATORE, SAMSON & DALILA, TOSCA, IL TABARRO, MADAMA BUTTERFLY, MANON, ZAIDE, UN BALLO IN MASCHERA, DON GIOVANNI, and LES CONTES D’HOFFMANN; as well as in Mexican operas ANITA by Melesio Morales, and SALA DE ESPERA by Lorena Orozco. His concert repertoire includes songs, romanzas, chamber and symphonic repertoire including Beethoven’s 9TH SYMPHONY and Carl Orff’s CARMINA BURANA. He has collaborated with conductors such as Enrique Diemecke, Enrique Patrón de Rueda, Fernando Lozano, Juan Carlos Lomónaco, Carlos García Ruiz, Patrick Gardner and Willie Anthony Walters, among others. This year, Rodrigo Garciarroyo was awarded the Artistic Residence Scholarship in NYC from Fondo Nacional para la Cultura y las Artes of the Ministry of Culture (FONCA) to undertake a new phase in his career to study the roles of Canio I PAGLIACCI and OTELLO. Mr. Garciarroyo has studied with Arthur Levy, Joan Patenaude-Yarnell, Octavio Arévalo, Cesar Ulloa, Sherrill Milnes, Martina Arroyo, Joan Dornemann, Tito Capobianco, Rogelio Riojas-Nolasco, Lucy Arner, David Rosenmeyer, James Demster, Claude Corbeil, and Mario Alberto Hernández.